The term "drone" evokes wildly disparate images. Some people envision menacing weapons of war. To others they're remote-controlled flying machines that consumers buy for fun, to shoot video or snap aerial selfies. But there's a rapidly emerging middle ground: drones can also be put to work, offering a new high-tech tool for data capture, monitoring, or even transportation. One day there may be a drone doing your job. 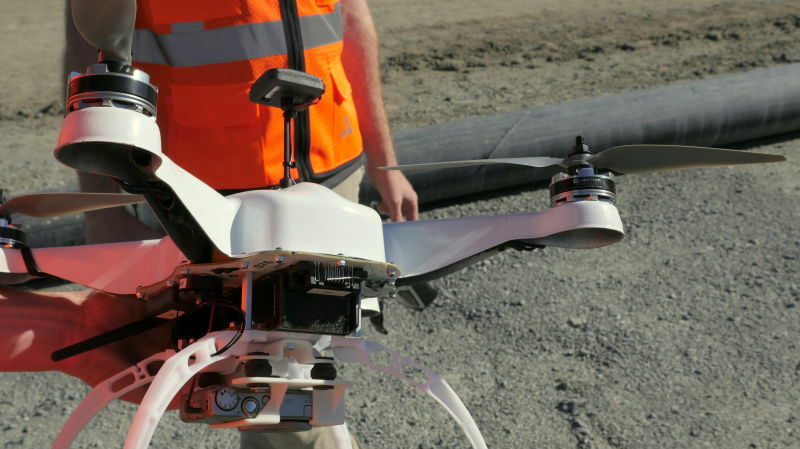 "Drones today are doing commercial work, creating 3D models, doing inspections, finding spots needed to be repaired on pipelines," said Christian Sanz, the CEO of Skycatch, a San Francisco startup that makes and deploys drones at construction and mining sites. A five-pound drone made by Skycatch can, for example, be programmed to fly over a rock quarry and generate hundreds of aerial photos during a surveying mission. Computer software then processes those images to turn them into a 3D model of the quarry which can be used to measure volumes of rock inventory or track the movement of bulldozers and other equipment on the job site. Sanz said it would take a human "at least a week" to survey stockpiles of rock at a quarry but the same job can be done by a drone in about an hour. Even though most drones used in the U.S. are bought for recreational use, interest in the commercial application of drones is growing. More than $300 million was invested in drone startups in the first nine months of 2015, according to CB Insights. "I don't think we understand even maybe 10 percent of the potential for drone applications in the United States or around the world," said Jesse Kallman, Director of Business Development and Regulatory Affairs at Airware, a San Francisco startup that makes technology to automate drones for aerial data collection. Proponents of drone technology claim that drones are ideally suited to do jobs that are monotonous or dangerous, such as inspecting the roof of a house that was damaged during a hailstorm. "The claims adjuster is still going to go out to that home," Kallman said. "But instead of pulling a ladder out and climbing on the roof, they're going to take the drone...and collect that information." Privacy and security concerns around the recreational use of drones have prompted federal and state legislation as well as local ordinances to limit or ban their use in certain areas such as airports, near schools, and in national parks. The Federal Aviation Administration regards drones as aircraft and an operator must first get permission from the agency before using a drone for commercial purposes. Even if permission is granted, the rules are strict, and they typically limit the drone to daytime use, below 500 feet, and always within view of the operator. The FAA is expected to release a broad set of rules for the commercial operation of drones by mid-2016. As the regulatory landscape evolves in the US, some drone entrepreneurs are taking to the skies elsewhere. Matternet, a startup in Mountain View, has used drones to deliver payloads weighing up to two pounds, such as medicine and diagnostic samples, to clinics and hospitals in the Dominican Republic, Haiti and other places in the developing world where one in seven people lack access to reliable roads. "We saw in drones the fundamental invention that will allow us to create a new mode of transportation," said Matternet CEO Andreas Raptopoulos. 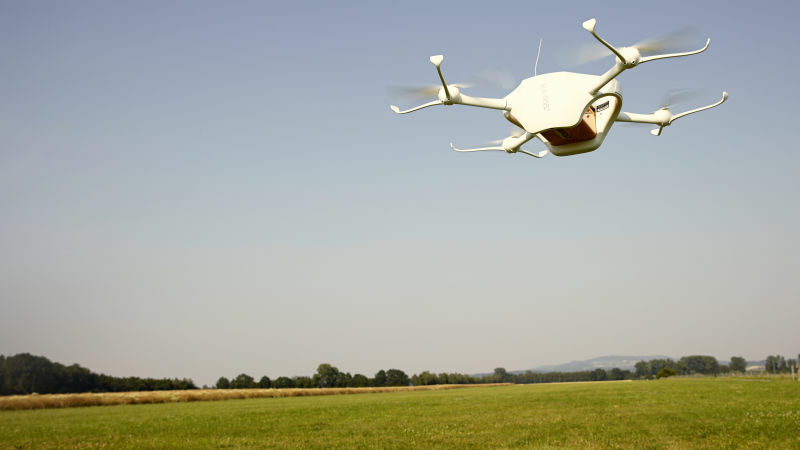 In July 2015, Matternet began testing its drones for delivery missions in Switzerland after receiving approval from Swiss aviation officials to use its drones for beyond line-of-sight operations. Mapping software pilots the craft to its destination. A parachute on board the drone can deploy in the event of an emergency to bring the vehicle down safely. Raptopoulos would like to operate his drones in the United States, if federal regulations change to allow these robotic aircraft to be flown beyond the sight of the operator on the ground. But first, the public's perception of drones will need to evolve, from flying toys to essential tools for getting difficult or even life-saving jobs done.